Why U.S. companies are now the most prominent progressive force in America. Who Will Stand Up for Diversity, Inclusion, and the Environment Now? The government won’t. But Fortune 500 companies will. 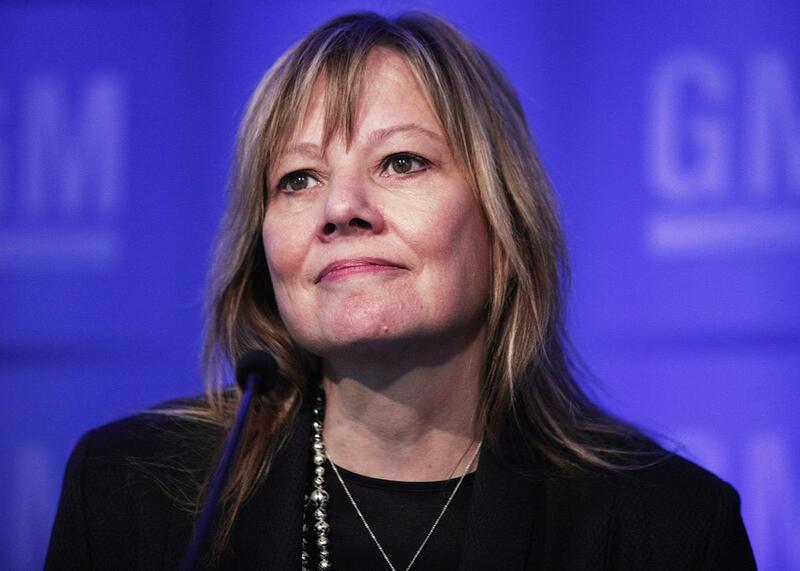 Mary Barra, chairwoman and CEO of General Motors, holds a media briefing at the 2016 GM Annual Meeting of Shareholders on June 7 in Detroit. This week, a large organization struck a deal to fuel a huge chunk of its operations with wind power. Another one conspicuously announced that its newest crop of future leaders would feature a larger number of women than ever before. And at several big institutions, top officials wrote to their rank and file to ensure them that despite the election of Donald Trump, they would hold firm on the values of inclusiveness, tolerance, and sensitivity. These weren’t universities, foundations, or social service organizations acting to reaffirm their progressive values in the wake of Trump’s election. The entity buying the wind power was Microsoft. It was Goldman Sachs that announced a partner class that was 23 percent women—not great, but still a sign of progress. And some of the largest professional services and technology firms in the country have assured their employees that their policies aimed at promoting diversity and protecting minority rights remain intact. All of which points to an irony in the age of Trump. Democrats have lost the White House and control neither chamber of Congress. The progressive values of the Obama coalition—recognizing climate change and resolving to do something about it, fighting for gay rights and equality for women, fostering a general sense of tolerance and inclusion—suddenly feel like they’ve been routed from public life in Washington. And yet: In Trump’s America, in many respects, Fortune 500 companies will be far more progressive, and far more significant forces for progressive causes, than Washington. It’s not across the board, to be sure: On taxes, trade, state power, and many aspects of regulation, America’s largest companies remain largely regressive. But in the realms of sustainability, diversity, inclusion, and women’s empowerment, they may well remain progressives’ most prominent hope. There are a few reasons why. On sustainability, for example, most large companies are much more citizens of the world than they are of the United States. S&P 500 companies earn about half of their revenue from abroad. And for the very largest companies—Intel, Microsoft, McDonald’s—the number is closer to 70 or 80 percent. So whether the CEOs believe in climate change (most of them do) or whether the president of the U.S. does, they have to operate in a context in which climate change is a reality and the pressure and imperative to reduce emissions are intense. Every significant company today has a sustainability function—often lead by a chief sustainability officer who is empowered by the CEO to work on energy efficiency, resource reduction, and renewable energy. And since many efforts aimed at reducing emissions wind up saving money, companies are doubling down on sustainability. That’s not going to change. On issues like promoting, protecting, and empowering women, the old boys’ club of corporate America is likely to be far more aggressive and successful than Donald Trump and the national GOP. (Yes, the bar is now remarkably low.) Part of it, from their perspective, is defensive. If any executive—a middle manager, a senior leader—spoke to women and treated them the way Trump has, it would expose the company to massive liability. Which is why every company has sexual harassment policies in place and conducts extensive training. But it’s not merely defensive. In corporate America, the concept of talent reigns—you need the best possible people to do the job. After 73 straight months of jobs growth, it is getting harder and harder to hire and retain workers of all types. (Thanks, Obama.) In the U.S., women are more than half the workforce and more than half the college graduates. Perhaps the Trump administration will be able to staff up with few women. But companies can’t. If you need the best people, you can’t afford to ignore or denigrate women, or to make the workplace inhospitable to them. The same mix of defensive concern about legal liability and offensive concern about hiring competitively informs much of corporate America’s larger concerns over diversity and inclusion. Companies aren’t stupid. Millennials have replaced baby boomers as the largest generational working and consuming cohort, and with each passing day they are accounting for a larger share of the workplace. And only about 25 percent of millennials are white males. Again, Trump might be able to build a presidential campaign and administration that rely almost exclusively on white men. But no consumer-facing company can. If you don’t understand how to recruit Hispanics, black Americans, Asian Americans, and LGBTQ people, if you can’t develop a way to talk to them—instead of at them—you will have a hard time filling your ranks and maintaining market share. An overt homophobe like Mike Pence can become vice president in 2016. An overt homophobe can’t become a vice president at Apple or Salesforce.com in 2016. Finally, while Hillary Clinton may not have been able to crack the glass ceiling in Washington, a small but growing number of women are ascending to the CEO suite. Women run giant American institutions like General Motors, Hewlett Packard Enterprise, IBM, and Pepsi. And so far this year, we’ve seen companies such as Staples, Occidental Petroleum, Progressive Insurance, and CIT Group name women as CEOs. It may be cold comfort to note that we have to look to private companies to continue to promote many of the initiatives and sentiments that the Obama administration did. But cold comfort may be the best we can hope for these days.